There are many reasons you should sign up with an online racebook. These include being able to bet horses online in the U.S. and access to free past performances. Another reason is that many racebooks host free handicapping tournaments. You can win money but you might also win your way into a tournament to crown a thoroughbred handicapping champion and find yourself collecting an Eclipse Award. A handicapping tournament is a structured contest in which bettors compete to see who can achieve the most winnings over a set number of horse races. Some tournaments require the bettor to pay an entry fee. Some online handicapping tournaments are free to enter. There are some online racebooks which reward bettors with entries into tournaments depending on how much they play. You can be invited to special tournaments when you wager a set amount in a certain time frame. You might even be provided with free past performances for the horse races you will be handicapping in a tournament. These events are fun to participate in and playing online can save you money. You won’t have to travel to a casino or racetrack and you won’t have to pay a large entry fee to compete. Handicapping tournaments have a particular structure. It can vary from racebook to racebook but there are generally some commonalities. For starters, players in the tournament usually play with a mythical bankroll. A mythical bankroll is “money” given to players in order to make tournament wagers. You can think of it in the same way that chips are used for a poker tournament. This pretend bankroll has no real monetary value. It cannot be cashed out or used to make bets outside of the tournament. With this tournament money players make bets on a certain number of races. At the end of the tournament, the player with the most winnings claims the title of tournament champion. Beyond this, the structure of these events can become different. Some competitions among horse bettors dictate that players make a certain number of $2 win wagers. In others, players can choose how much of their tournament money they wish to bet on a single race. This format rewards good handicapping because it lets the player choose to bet most of their money on a longshot they really believe in. Some tournaments require that a bet be placed on each race. Others do not. Each February, handicappers from around the world gather in Las Vegas to compete in the National Handicapping Championship. The event is sponsored by the National Thoroughbred Racing Association (NTRA). The winner of the event takes home a check for $100,000 and is recognized with an Eclipse Award for Handicapper of the Year. To qualify for the NHC, players compete in tournaments throughout the year to earn points and entries. This is why it is important to learn how to bet horses online. Many of the qualifying tournaments are only held online at racebooks like TwinSpires and BetAmerica. The only way you can participate is to register an account. There are some online tournaments which serve up an automatic berth into the NHC. An example of this is the Del Mar Online Challenge. The top two finishers in this tournament receive entries in Las Vegas in February. Throughout the year there are similar tournaments at different racebooks. 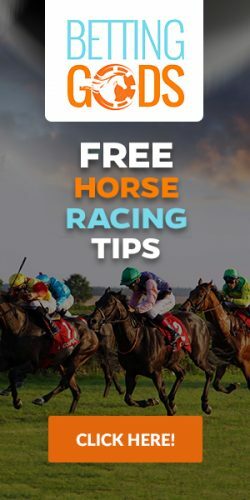 If you would like the opportunity to win large amounts of prize money and think you have the skills to compete, now is a great time to create an account with our recommended online racebook. You’ll get a welcome bonus for signing up and access to race tracks all over the world from your computer, phone, or tablet.